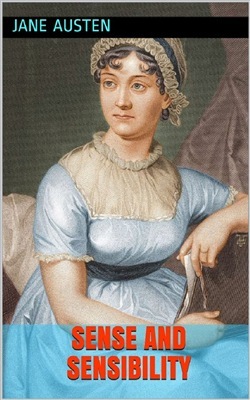 Sense and Sensibility is a novel by Jane Austen. It tells the story of the Dashwood sisters, Elinor (age 19) and Marianne (age 16 1/2) as they come of age. They have an older, stingy half-brother, John, and a younger sister, Margaret, 13. The novel follows the three Dashwood sisters as they must move with their widowed mother from the estate on which they grew up, Norland Park. Because Norland is passed down to John, the product of Mr. Dashwood's first marriage, and his young son, the four Dashwood women need to look for a new home. They have the opportunity to rent a modest home, Barton Cottage, on the property of a distant relative, Sir John Middleton. There they experience love, romance, and heartbreak. The novel is likely set in southwest England, London and Sussex between 1792 and 1797. PLOT SUMMARY : Henry Dashwood, his second wife, and their three daughters live for many years with Henry's wealthy bachelor uncle at Norland Park, a large country estate in Sussex. That uncle decides, in late life, to will the use and income only of his property first to Henry, then to Henry's first son John Dashwood (by his first marriage), so that the property should pass intact to John's three-year-old son Harry. The uncle dies, but Henry lives just a year after that and he is unable in such short time to save enough money for his wife Mrs Dashwood, and their daughters, Elinor, Marianne and Margaret, who are left only a small income. On his deathbed, Mr Henry Dashwood extracts a promise from his son John to take care of his half-sisters. But before Henry is long in the grave, John's greedy wife, Fanny, persuades her husband to renege on the promise, appealing to his concerns about diminishing his own son Harry's inheritance despite the fact that John is independently wealthy thanks to his inheritance from his mother and his wife's dowry. Henry Dashwood's love for his second family is also used by Fanny to arouse her husband's jealousy and convince him not to help his sisters economically.